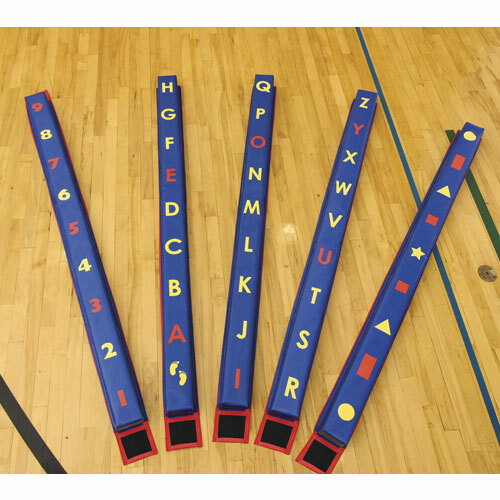 These lightweight beams not only offer a fun, balancing challenge, but also provide educational opportunities pertaining to the alphabet, numbers and shapes. Beams are constructed using 3" foam covered with 18 oz. vinyl with fasteners on the ends to attach beams. Each beam measures 72" L x 3"W x 4"H.